Last updated 26 February 2019 . By Georgia Evans. 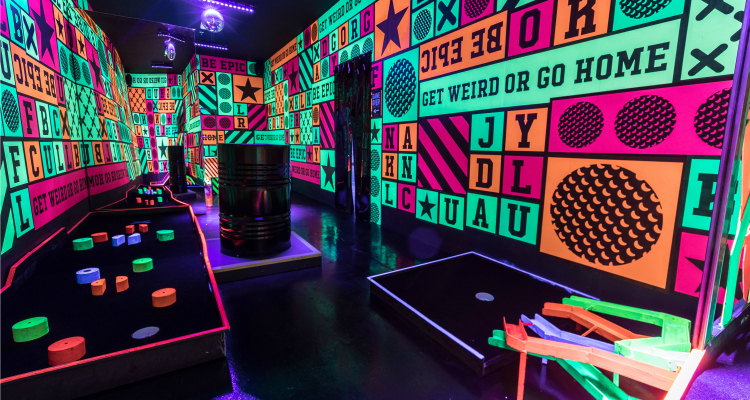 Junkyard Golf Club comes to Liverpool One in March. Junkyard Golf Club will be coming to Liverpool this March, bringing big tunes, kooky cocktails and a whole load of crazy golf. After successful launches in London, Oxford, Manchester and Leeds, its fifth venture will be located inside Liverpool One. With three 9-hole courses of scrap yard slides, broken car parts, circus wonders, bright lights and jungle madness, there’s plenty to choose from while sipping on Instagram-worthy cocktails. The site will play host to four new bars, open to players and punters alike. The drinks include creations such as ‘Ribena Turner’, ‘Hot Line Ting’ and ‘Post Malone’, made with vintage sweets and packed with nostalgia. Craving a bite to eat after all the action? Junkyard Golf Club will be on hand with fairground style hotdogs, salted caramel popcorn, pick and mix and nachos with veggie and vegan options also available. Junkyard Golf Club Liverpool will be open 7 days a week: 4pm - 12am Monday - Wednesday, 2pm - 12am Thursday, 12pm - 1am Friday and Saturday and 12pm – 10pm Sunday. Tickets are now on sale.